Bring your community together with beautiful municipal Christmas decorations. The glow of Christmas lights makes people come together. Seeing colorful twinkling lights brighten up the town square makes them feel the holiday cheer like nothing else can. Roof to Deck Decoration helps municipalities achieve this joyful atmosphere during the holiday season. 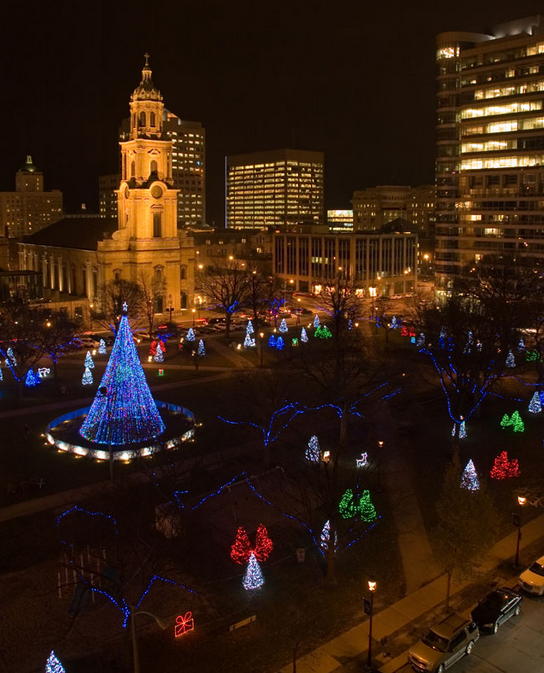 We provide the holiday lighting needs of towns, cities, and municipalities throughout the Twin Cities metropolitan area. 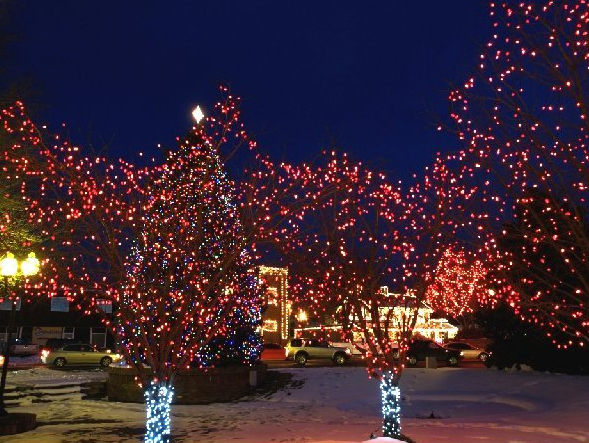 Our qualified design consultants will meet with your community members to help design a Holiday Lighting display that is unique to the history and character of your community. We make sure that our municipal holiday decorations fit the look and size of your municipality. By keeping up with Christmas lighting designs and trends, we make sure your town has a remarkable Christmas lights display that locals and tourists will love to see and photograph. Roof to Deck Decoration only uses high-quality LED products that are good for the environment and low in energy consumption. Free design consultation that meets the theme and budget of your city. Professional installation of high-quality municipal Christmas lighting and greenery by trained employees (we don’t hire subcontractors). We provide the lighting and greenery. Complete take-down after the holidays. Storage during the off-season at our warehouse. With Roof to Deck Decoration’s exceptional municipal Christmas lights, it is possible to turn your community into a major tourist attraction every holiday season. We are eager to transform parks, community centers, and city halls into magical centerpieces of your town. We offer a free design consultation, which you can request via phone or through our contact form.